The Tether Table Aero Master from Tether Tools is a portable tethering platform engineered by professional photographers and aerospace engineers. Made completely of T6 Aerospace aluminum, this stunning non-reflective black textured platform is sleek in design as well as stable and durable. 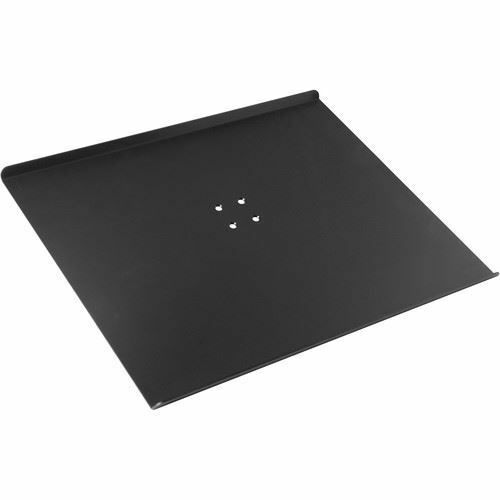 The Aero Master is the largest platform from Tether Tools with a 22 x 16" (56 x 40cm) surface area. Located on the Aero Master is the LAJO-4 ProBracket. This bracket makes it easy to mount to any 1/4"-20 tripod head, 3/8" tripod mount, 5/8" stud studio stand or an Arca style mounting attachment. Mounts to any of these stands and supports is quick, seamless and painless. The Aero Master also comes with a custom, high quality storage case to protect the table when not in use as well as a lifetime limited warranty in the rare case that it gets damaged. Box Dimensions (LxWxH) 23.3 x 16.4 x 2.5"